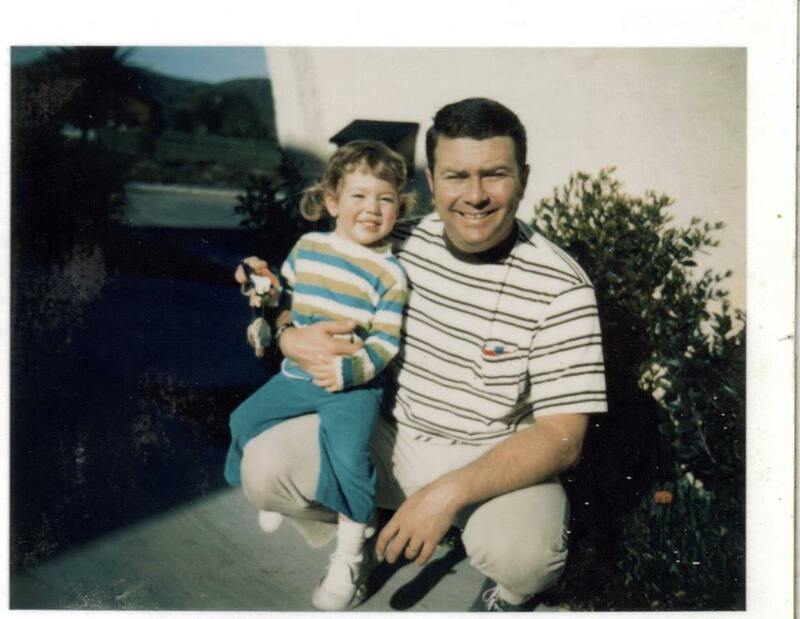 It’s been just over five years since my dad left us, and as Father’s Day approaches (and I am feeling the hole in my heart grow just a little) I have been thinking about the past. Those days filled with laughter and adventure, and I remember how lucky I was that for over forty years, I got to have him with me. That I got to have Michael A. Dearing as my father. I remember him teaching us to play football, how to box. I remember 4th of July sitting on the roof and watching fireworks. I remember being tossed into the deep end of the pool, then swimming back to his arms and begging to be thrown again. And he did it again and again. Backyard Bear hunts and Big Foot Adventures in the park. Running from the Goose on the Westlake Gold Course. I hated that goose! I remember being tickled and dog piled on. I remember watching TV, eating popcorn, stealing Cheetos from his plate, which was met with total disdain. I remember seeing him couched on the floor hugging and kissing my dog when he thought no one was watching. The Dearing Roll, weeding, BBQs in the backyard. RV shows and Greek Festivals. I remember eating at new restaurants, driving around Ensenada, watching USC football. making new friends, taking my friends to visit every summer. I remember him walking through a room and everyone watching him. He could hold everyone’s attention and mesmerize people. I know I got my ability to tell stories from him. he was a Great storyteller. I remember all the times he took care of me, and that one time I got to return the favor and take of him. Even when the power went out for 4 days after that huge storm in Cantu. I read to him from the Chronicles of Crime by candlelight, and we laughed (don’t judge until you’ve read it yourself – Magic!) and we would watch a few episodes of Harper’s Island on the laptop. And he got better for a little while. But you can only hold off the inevitable for so long. And that beautiful soul left us a year later. Your exit was peaceful and everything we hope for it to be. But you’re gone and we are left with a piece of us missing. That’s was true love does. It takes a piece of you with it when it leaves. Life is short. Don’t waste it. Tell the people you love, how much you love them. Don’t hesitate to share stories, and see your family and friends. Tomorrow is never promised. And for those of you who still have your daddies, please hug them, and tell them you love them, and laugh and make memories, so that you can remember all the glorious days you’ve spent together. It’s been five years since my dad left us… and when I say left us, he died. Some of you have read my post, “My Father, My Hero, ” which was written a few days after he left. Raw emotions left on the page from fresh wounds, and now five years later, they are scars. They prickle and hurt from time to time, reminding me about how much I miss him. The sound of his voice, his laughter, his wisdom. I learned so much from him. Some things obvious, other things not so much. He taught me how to laugh. Introducing me to comedy in all forms, and allowing me to make my own decisions. Enjoying food… now, maybe I enjoy food too much, but because of he and my mother making me try new foods, I have a diverse and demanding palate. I think more parents need to do this (just my humble opinion). He taught me to work hard in sports and academics. He taught me how to be creative when disciplining a child. He gave me an older sister, different mom ;). We didn’t get to meet until we were adults, but she reminds me of him every day. We look like him. She plays drums like him. She has his wild streak. She in turn has given me a niece and nephew. He was one half of my parents. He gave me the other half. He gave me my mother. He fell in love with my mom. She is exceptional. Talented, logical, and loving. My mother and I have had a bumpy ride, but we came out the other side. Today our relationship is stronger than ever. Together they gave me my younger brother and sister. My Rocks. We share the same memories. We share moments that he was a part of. We have shared a life that he was an integral part of. My sister gave us a neice. Earlier this year, my father-in-law left us. Such a lovely man. So full of life, and joy. It was difficult to be around him and not smile or laugh. He loved to mock my American accent, introduce me to English foods. He would make jokes with his son, that only the two of them would get. He loved his wife and his children, and did for all of them. Now, I get to help my husband through this diffcult time. Hold his hand, dry his tears and help him to move through the pain of missing his dad. Nothing can prepare you for the loss of a parent. My sister explained it best. We were a unit. Even though my parents were divorced, we were a unit, and now a piece of the unit is gone and it can’t be replaced. That is the best description. I miss him every day. But I don’t cry every day now. Don’t get me wrong, I still have my “daddy days”, but they are fewer. Every once in a while, it hits me like a mack truck, and for a little while it’s the same as it was when we first left. But them I cry it out, and it’s okay for a while. The mourning process never ends. That piece of you is missing. It will never be filled. Despite that, I carry him with me. I see him when I look in the mirror, or around my home. He is always in my heart. Thus, he is always with me. I am so blessed to have had him for a father, and a best friend. store for them or who the kindly old man is who is taking care of them. The bright light of the moon shone through the little window above the bed of Sascha and Eduard Engel, illuminating the tiny room where they slept. Eduard breathed deeply, lost in the world of sleep as his sister lay quietly next to him. She stared at the sky through the glass, the tiny flakes of snow gently falling from heaven. She twirled an oval, bronze pendant in her fingers and smiled. She remembered her mother. Her mama had always told her that snow was God’s way of sending little pieces of heaven to his people on earth so they would remember Him. Sascha missed her. Her mother had been gone for almost six weeks. The soldiers in the black and silver uniforms had taken her away. Mama had made them hide under the floors and told them to not make a sound. The soldiers broke through the door and Sascha remembered hearing the glass as it smashed against the wooden planks above her head. She closed her eyes, the tiny shards slipping through the spaces of the floorboards as they fell against her face. She heard her mother yelling at the soldiers and felt Eduard grasp her hand. Then she heard his voice. Sascha opened her eyes when she heard that voice. It was different from the others. She remembered how it cut into her soul like a knife through a potato. It hurt her. She had felt Eduard’s hand tighten. It must have hurt him too. The soldier argued with her mother and they began to yell. Suddenly, Sascha heard the smack and a great thud above her head. She saw her mother’s eye looking down at her for only a moment before it was yanked away. 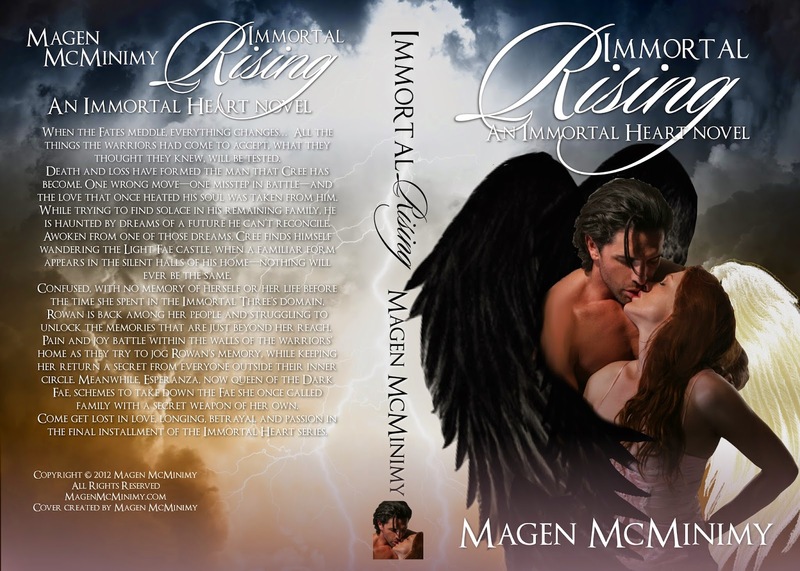 the Immortal Heart Series by Magen McMinimy. When the Fates meddle, everything changes… All the things the warriors had come to accept, what they thought they knew, will be tested. Death and loss have formed the man that Cree has become. One wrong move—one misstep in battle—and the love that once heated his soul was taken from him. While trying to find solace in his remaining family, he is haunted by dreams of a future he can’t reconcile. Awoken from one of those dreams, Cree finds himself wandering the Light Fae castle, when a familiar form appears in the silent halls of his home—and nothing will ever be the same. Confused, with no memory of herself or her life before the time she spent in the Immortal Three’s domain, Rowan is back among her people and struggling to unlock the memories that are just beyond her reach. Pain and joy battle within the walls of the warriors’ home as they try to jog Rowan’s memory, while keeping her return a secret from everyone outside their inner circle. Meanwhile, Esperanza, now queen of the Dark Fae, schemes to take down the Fae she once called family, with a secret weapon of her own. 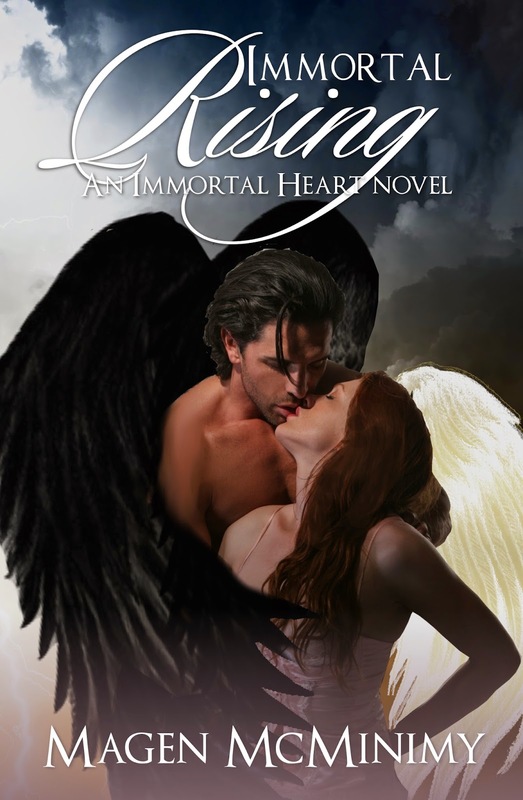 Come get lost in love, longing, betrayal, and passion in the final installment of the Immortal Heart series. When the chill of winter drives you under the covers, snuggle up with this romantic collection of three steamy holiday inspired stories about hope, love and passion. In a forgotten mining town, deep in the Bitterroot Valley, the Montana faction of the North American Pack of werewolves prepares for the holidays. When an innocent wish and a powerful spell is cast, vampires, witches, and weres are forced together for one unforgettable night, causing everyone involved to reevaluate what is truly important and what is needed to make them whole. You’d think the masks would come off once the ball drops at the New Year’s masquerade, but tossing caution to the wind, Liam and Maci decide to have a bit of fun by continuing to keep their faces hidden from each other during a night full of games and passion. Get to know these two game-playing lovers before they even know each other in The Wager, a prequel to the new novel in the Playing Games series, Game Changer. It’s been eight months since Kate and Matt met, fell head over heels, and moved in together. Now that the holidays are upon them, can they combine their two celebrations and families into one, or will an unexpected problem tear them apart? From the imaginations of the authors behind Rising Indies United come stories of romance that are bound to fill you with holiday spirit. 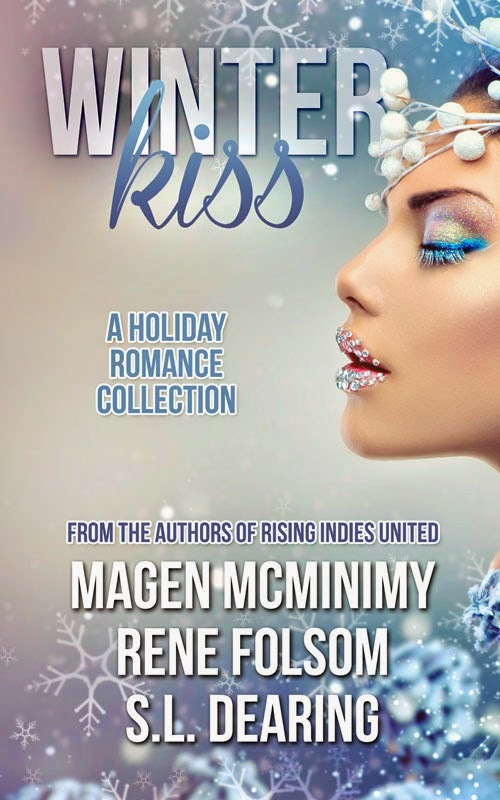 Add Winter Kiss to your TBR on Goodreads! I wasn’t sure what to expect when I began reading Hidden Truthsbut I found a truly wonderful book about moving past the horrible things that happen in our lives and finding the best in others and ourselves. 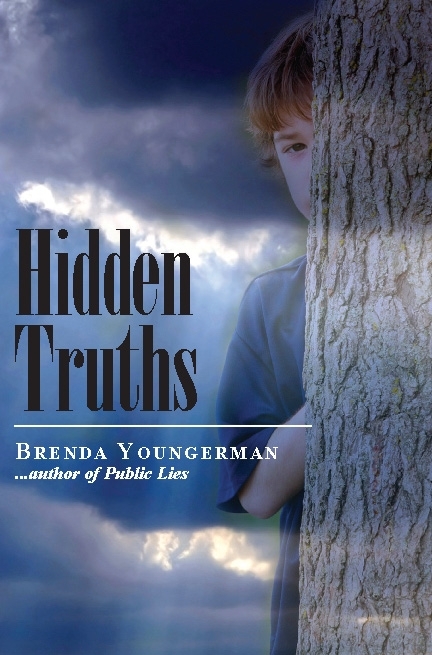 Brenda Youngerman has written an amazing book about the lives of four children who experience a loss and subsequently their lives change forever. Two of the children grow up in loving families and the other two are subjected to lives with parents who are not there. Their journeys, all tragic in some form, come full circle and giving the reader a satisfying ending. 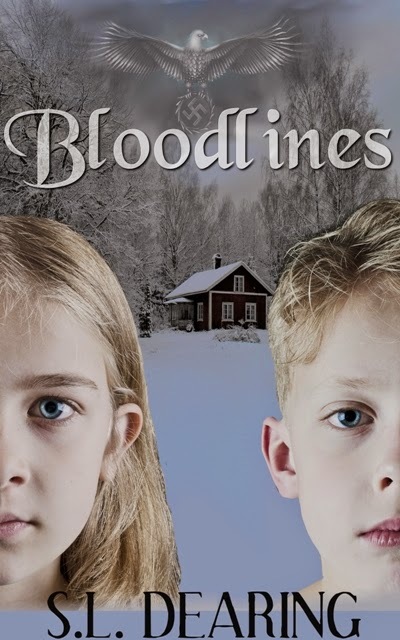 The subject matter could have been horribly depressing, but the author shows us how each of these children grow and change, finding hope and rising above their past. This book was truly inspirational and a great read.